Many Mac OS X users feels don't wanna try or moving to another OS, either Windows or Linux. Most of the reason is because mac users are spoiled with the interface of simple Mac OS-X. This is consistent with the philosophy of the founder Apple.Inc, Steve Jobs. Based on the spirit to create a simple interface but still elegant, then this OS Pear Linux birth is a Linux distribution based on Ubuntu Linux that mimics the mechanisms and the appearance of Apple's Mac OS X. Currently version of Linux is Pear Pear Linux 6 with code "Bartlett", derived 12:04 Ubuntu LTS, and use Gnome Shell for desktop. 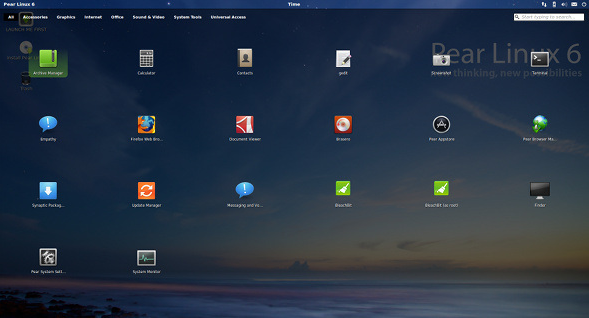 This free OS Pear Linux can be downloaded here. You can download Pear Linux via regular http or via torrent. Once you have finished downloading the ISO file, you have to burn it to a DVD or can make booting one via USB using unetbootin. Instead you poured so much money to buy a macbook pro/air, imac, just to get the look simple and elegant. It is better to install Pear Linux. Although the display looks like OS X, but it still can not match the OS X is perfectly, because the operating system is different and distinct from the concept design. Nevertheless, Pear Linux can at least provide a sense of touch Penguin Apple. 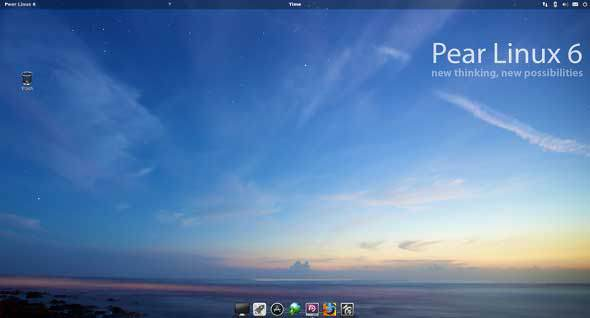 Other than that, Pear Linux can be an alternative for OS X users who want to switch to another OS, but are all too familiar with the look of OS X. Using Pear Linux is a better approach towards the display OS X. If Pear Linux is still not able to give a sense of Apple in Linux, maybe better you could try using Ubuntu Linux and then install Macbuntu themes.